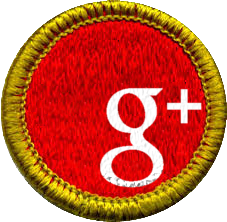 We know that you have a lot of questions about Scouting at Troop 818. To help you begin to understand how our troop operates we have put together some frequently asked questions. Have additional questions that are not answered here? Come visit us and talk with the Scoutmaster or send us an email. We will be glad to answer anything you want to know. Where and when does Troop 818 meet? We meet on Monday nights at 7:00pm to 8:30pm in the Scout Hut located on the SW corner of 6th & Duck and is entered from the west side alley between the Methodist and Catholic churches. During the summer we meet at Lake McMurtry. The troop owns six canoes and we work on Canoeing merit badge while we are at the lake. Who is your chartering organization? The First United Methodist Church is our chartering organization. You do not have to be a member of FUMC to join our troop and we have members of all denominations. 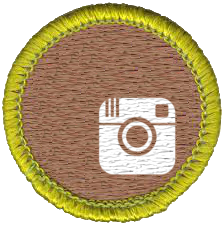 In Troop 818, how many registered Scouts do you have? Our troop has approximately 30 active Scouts. There are Scouts at each rank from Scout to Eagle. What would a chart of the age distribution of the 'active' scouts look like? We have Scouts who have been with us less than six months to those that have achieved the Eagle Scout rank. How many Scouts have earned the Eagle Scout rank in the past few years? We average one to two Eagle Scouts a year. You can view our Eagle Scouts by visiting the Eagles Nest. How many assistant Scoutmasters, committee members, other troop positions? There is 1 Scoutmaster and several assistant Scoutmasters with committee membership ranging from five to ten members. All parents are encouraged to attend the monthly committee meeting held on the third Thursday of the month. How are the patrols organized? New Scouts join the new-Scout Patrol. This helps Scouts go from “Scout to First Class” in their first year. Then they are placed in a patrol with older Scouts. Patrols are organized using the Patrol Method. What goes on in troop meetings? Parts of troop meetings are very consistent. These are the opening, time for Scout skills, fun time, planning for events, a Scoutmaster minute, and closing. Then there are some things that are not consistent. We may work on a merit badge, check out equipment for a upcoming campout or whatever is needed. Sometimes it may seem a little chaotic and that is ok, we work to allow the troop be run by the Scouts, not the Scoutmaster or other adults - even if it seems inefficient. What service projects does the troop do? Our troop is involved in a lot of service. We help the FUMC with their monthly community meal, we have performed flag ceremonies for different groups, cleaned up public areas, helped with community activities and much more. There are plenty of opportunities on a monthly basis to complete service hours. The First United Methodist Church holds a community dinner every Thursday. The fourth Thursday of every month we meet from 5:00 to 7:00 to help out at this dinner. We help serve when needed, help with drinks, collecting dishes and doing the dishes. Then we stack up the tables and chairs and clean up at the end. The boys earn community service hours for helping and have a great time. The dinner usually feeds about 150 people each week. How is the rank advancement managed? New Scouts are members of the new Scout Patrol. This patrol will guide the new Scouts from the Scout Rank to First Class Rank with the goal of Scouts achieving First Class in their First Year. After First Class, much of the responsibility for advancement is on the Scout with assistance from troop leadership. 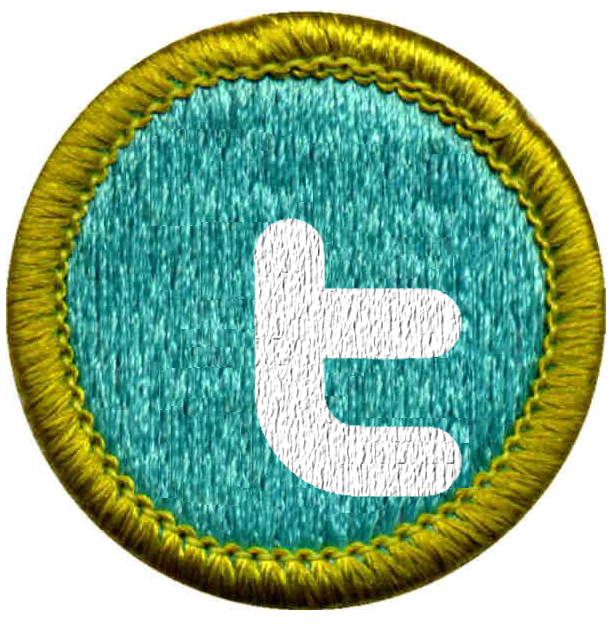 How are Merit Badges managed? 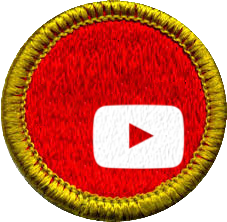 Scouts have the opportunity to complete merit badges on their own and our Troop will help them find counselors if needed. We have our own counselors for many badges and we spend some time in Troop meetings working on requirements. What is a court of honor? When are they? We hold two courts of honor each year. One in April and one in October. However, rank advancement patches are awarded as soon as they are earned. Merit badges and rank cards are presented for recognition at the court of honor in front of family and friends who are invited to attend. How is troop leadership managed? It is our goal to have a 'boy-led' troop. The Senior Patrol Leader runs the meetings with assistance from his Assistant Senior Patrol Leader. Every patrol has a Patrol Leader. How do I know what is happening with my Scouts advancement? 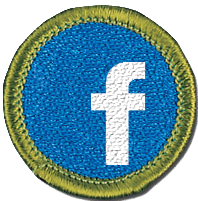 We use Scoutbook, an electronic program, to keep track of a Scouts advancement. As a parent you will have access to follow along with what they are doing. Think of it as your Scout Parent Portal! What camping has the troop done and is planned? We go camping at least once a month. On a typical campout we leave on a Friday between 5:30 and 6:30 and then return home between 12:00 and 2:00 on Sunday. Our normal campout locations are Lake McMurtry, Will Rogers Scout Reservation and Pawnee. We will sometimes venture to Osage Hills State Park or Camp Mclintock (near Bartlesville) and have taken impromptu trips to places like Black Mesa State Park to hike to the highest point of Oklahoma. Where do you attend summer camp? We usually go to resident summer camp in June at Will Rogers Scout Reservation and for the last three years we have attended a second resident summer camp in July in places like Tres Ritos in central New Mexico and Hale Scout Reservation, near Talihina, OK.
What high adventure trips have been done recently and are planned? We have had Scouts attend the traditional bases - Philmont, Seabase, Northern Tier, National Jamboree and the World Jamboree. What about your own high adventure trips? Every year at spring break we take a group of boys on the Ouachita Trek. The Ouachita Trek is a backpacking trip that the council puts on every year. We leave the first Saturday of spring break and return home on Wednesday evening. We backpack and camp along the Ouachita Trail or Ozark Highlands Trail in SW Arkansas or SE Oklahoma depending on the route. We also plan some of our own high adventure activities which have included white water rafting and more. What participation and training is expected of parents? Parents are needed to make the troop's plans succeed. At the minimum you should ask your the Scout how a meeting or outing was and to support him in Scouting. If you will be interacting with the Scouts you are required to complete Youth Protection Training. We need a few adults to take on roles each year, such as assistant Scoutmaster or committee member. Don’t worry, we will help you find the training you need to be successful. What fundraising is done? We participate in the council popcorn sale as well as other fundraising opportunities throughout the year. We have held Flapjack Fundraisers at Applebees, worked for individuals in the community and more. How are the funds managed? Each Scout has his own Scout Account. The money in this account can be used to pay for registration fees, uniforms, camping trips and anything else Scouting related. What equipment is provided by the troop and what does the Scout provide himself? The troop has tents, backpacks, some sleeping bags and the traditional Troop equipment like a trailer, access to vans, dutch ovens, stoves and more. Scouts provide everything else they might need. What uniforms are required? Scouts are required to have a Class “A” shirt and merit badge sash. We wear Magellan pants available from Academy. We maintain a uniform exchange with gently used Scout uniforms for those that may need it. Just ask the Scoutmaster. How often are Roundtables attended and by who? Roundtables are attended by at least one adult from our troop and usually is the Scoutmaster. This is where we get information about council activities as well as meet with Scoutmasters in the Stillwater area and discuss things related to Scouting. Roundtable is held in our home, the Scout Hut. What council events has the troop attended recently or planning to attend? We attend Scoutfest, Spook-O-Ree, Rendezvous, Ouachita Trek and most other activities conducted by the council. Does the Troop support the Order of the Arrow? Troop 818 holds annual elections for Scouts and supports the Lodge by encouraging Scouts to attend activities and providing transportation in many cases. We do hold elections for an OA Representative. How much will a year of Scouting cost? A year of Scouting is as expensive as you want to make it. With participation in fundraising activities it can be very low cost and we have some Scouts who do not pay anything out of pocket because of their active participation in fundraising. Our annual dues are currently $100 and there are usually smaller fees associated with activities for food and gas. If Scouting will place on financial burden on your family we ask that you contact the Scoutmaster as we do not wish to deny a youth the opportunity to participate because of money. How are conflicts between Scouting and sports/theater/music/... handled? We know that Scouts participate in a variety of things now days. We want Scouting to be a part of what they are doing and we have Scouts involved in football, baseball, band, church and other activities. The Scout simply needs to let the Senior Patrol Leader know that they will not be at a meeting or you can always email the Scoutmaster. Missed meetings because of these activities do not count against a Scout for attendance. What is the time commitment for a Scout? Troop 818 runs a very active program in order to meet the needs of boys age 11 to 18. That means there's an almost daunting array of activities. Each Scout chooses activities and outings according to his interests and needs at the time. There’s plenty to keep a 6th or 7th grader busy, and there will be plenty more available when he needs new challenges as a 9th or 10th grader.